FAQ: Why is it that you do not tell Christians it is wrong to celebrate holidays such as Christmas, Easter, or especially Halloween? A: Your question is a very good one and something that many Christians have wondered about. You are right; many of the holidays that the Christian church embraces have origins and many practices that were connected to pagan worship festivals. We know that Christ had nothing to do with the Christmas tree, Santa Claus, the holly bush, and Christmas decorations. And since we are a ministry that is dedicated to teaching the truth, there must be a good reason why we do not teach against the practice of Christians setting aside special days of worship. We receive many questions like this, especially around Christmas, Easter, and Halloween. Many people refer to these days as “holidays,” which originally was an abbreviation for the phrase “holy day.” Nowadays the term “holiday” means a day away from work or a time of recreation. Today people often say they are going on a holiday when they are taking a vacation, but originally a holiday was a day of the week that was set aside because people believed it had special religious significance. In the case of Christmas, the Christian church dedicated it to the birth of Christ, Easter was to honor the resurrection of Jesus from the grave, and even Halloween is the derivation of “All Hallows Eve,” which came on the eve of the Roman Catholic’s special day commemorating their saints. Most Christian holy days have degraded over time and today we see that most are dominated by massive amounts of commercialization. The end result is that the historical significance and any original Christian meaning is often lost among all the mass marketing and merchandizing. Although we do not endorse any specific holidays, we do believe that each Christian has the liberty in Christ to determine what days, if any, he or she would like to set aside and “esteem to the Lord.” On the honoring of days, the apostle Paul is clear in the book of Romans. (5) One man considers one day more sacred than another; another man considers every day alike. Each one should be fully convinced in his own mind. (6) He who regards one day as special, does so to the Lord. He who eats meat, eats to the Lord, for he gives thanks to God; and he who abstains, does so to the Lord and gives thanks to God. In His Word, God says that we can consider any day “as special,” but if we do we must do it for the right reason, which is to honor the Lord. If a person wants to set aside a time of the year to remember the birth of the Lord and to give thanks to God for his coming, then he has the liberty in Christ to do that, and further, if people choose to do it in December when the world celebrates Christmas, they have the freedom and right to do that. It is wrong for Christians to celebrate any holiday if it is done for the wrong purpose, that is, with the wrong motives of the heart. Regarding Christmas, despite what may have begun with good intentions, it is relatively well known that Christ was not born on December 25th, that there were not just three “wise men,” that the “wise men” were not present for Christ’s birth, nor was there a star shining over Christ’s birth site. We also know that many pagan religions had a major celebration on December 21st, the winter solstice when the sun begins to grow longer in the sky. The Christian church seems to have chosen December 25th in an attempt to satisfy many pagan converts who were used to revelry and celebration at that time of year. The church did not really know the actual date of Jesus’ birth, but they believed he was born in the fall or early winter. Various scholars have only recently concluded that he was born in the early Fall (we believe it is actually September 11th, 3 B.C.). Similarly, Easter Sunday has significance for Christians as the day in which we honor the resurrection of Christ from the grave, and was a time of fertility celebration for pagans. In light of Romans 14, many Christians set this day of the year aside, even referring to it as Resurrection Sunday. For them this is not about any pagan fertility rites, bunnies, eggs, or chocolate candies. God tells us that there is nothing inherently wrong with setting aside special days of worship. Even the Israelites, at God’s direction, celebrated a feast at the time of harvest, which was actually called the Feast of Harvest. It was also called the Feast of Ingathering when they all celebrated the gathering of the crops from the fields. It was a time set aside to thank God for His wonderful provision. “Celebrate the Feast of Harvest with the firstfruits of the crops you sow in your field. “Celebrate the Feast of Ingathering at the end of the year, when you gather in your crops from the field. 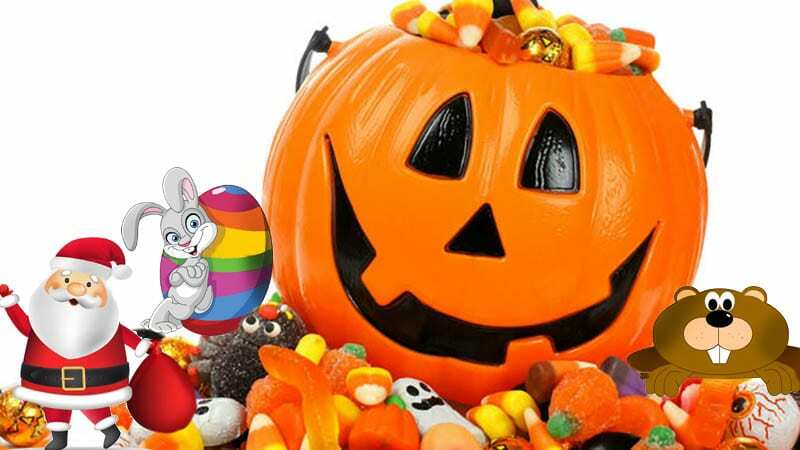 In the case of Halloween some Christians have chosen to educate their children about its evil aspects, and substitute “harvest parties” or “Fall Festivals” so their children have an alternative event to attend. Sunday: “sone day” meaning “day of the sun,” after sun worship. Monday: “day of the moon,” honoring moon worship. Tuesday: “Tiu’s day,” after the Germanic god of war. Wednesday: “Woden’s day,” honoring Woden, the chief Anglo-Saxon god. Thursday: “Thors day,” honoring the Norse god of thunder. Friday: “Freya’s day,” honoring the Teutonic goddess of love, beauty and fecundity. Saturday: “Saturns day,” in honor of Saturn the god who ruled the universe until dethroned by Zeus. In spite of all the clear pagan meanings behind the names of the days of the week, Christians are not advocating that we change their names, or even stop referring to them as we do. Should a Christian not eat in a Chinese restaurant because they have pagan symbols as decorations? Or should we stop buying products produced by Buddhists? We recognize that the entire world has been influenced greatly because of paganism. God tells us that the whole world is under the control of the “evil one” (1 John 5:19). It is mature Christians who realize that, in spite of the world, they can conduct themselves in such a way that they always bring glory and honor to God. The celebration of holidays is very analogous to the problem that first-century Christians had concerning meat offered to idols. In the first century a portion of the meat sold in the markets had been slaughtered and sacrificed to idols. God could have told the Christians to expend the effort necessary to avoid this meat on the basis that it was “polluted.” But God did not do that. In essence, God has told us, “Don’t worry about it.” He said we were free, even free to eat meat offered to idols provided that it is not an offense to our conscience or that it did not cause a weaker (less mature) brother to stumble. He said that food has no significance in bringing us closer to God and we were no worse off or better by eating it, because the idol is nothing. (7b) …Some people are still so accustomed to idols that when they eat such food they think of it as having been sacrificed to an idol, and since their conscience is weak, it is defiled. (8) But food does not bring us near to God; we are no worse if we do not eat, and no better if we do. If it is okay to eat meat that has even been offered to an idol, then doesn’t it make sense that a Christian can decide to set aside a day of the week to honor the birth or resurrection of their Lord? We do not endorse that Christians participate in any pagan rituals or practices that would dishonor God. We believe God is clear, that if they desire to, each Christian has the freedom in Christ to set aside as holy any day they like. This includes a day to celebrate Christ’s birth, or his Resurrection.